Facebook is far out in front as the global and local platform for bringing people together, to interact online and often offline within communities. So it’s not surprising that in many areas it has become the perfect place to seek and find employment, particularly for those who might be recently arrived to an area, are entering the job market, or perhaps looking for new ways to apply existing talents and interests. However although Facebook is a relatively new tool for job hunting and building a career, there are already some important norms and expectations becoming established, many of which stem from traditional job-hunting common-sense simply translated into a new setting. If you are hoping to use Facebook as part of your job-search strategy, here are a few ideas to get you started, and hopefully help to keep you from making any big mistakes. Firstly, get your house in order, check your profile. If a prospective employer followed up by taking a look at it what would they see? At the bottom right of your cover pic, and click the three dots next to View Activity Log and select ‘view as…’ public. That’s what they will see, if not on your friends list, does it look like somebody you would employ? 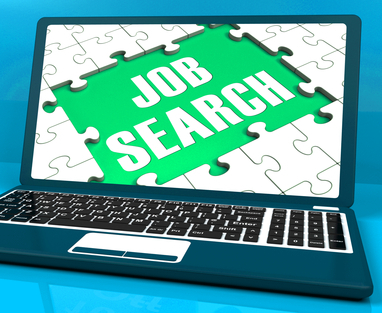 Do some tidying up if necessary, remember that anything you post about job-hunting is one click away from this page and anyone even idly curious about you WILL take a look. Secondly, scope out locally-relevant groups in your area and join those which seem most appropriate – even if you don’t see the perfect job advertised for you immediately, you should be able to spot the ones which have lots of businesses and events promoted and that are in the right place. Some will require approval to join, others you can sign into immediately. Keep an eye on your right menu for ideas about groups your friends are members of as well. The most relevant groups for you won’t just be job-hunting boards but anything about what is going on in your area that has traffic and buzz about it. At this point, LURK – don’t jump in and start posting. Read any pinned posts, read the ‘about’ tab, establish what the written and un-written rules are for each group. If you find yourself in a bear-pit of bitchy vitriol, don’t waste time move along. Look for friendly and engaged conversations and a community that is responsive and respectful but also clearly open to newcomers and a range of input rather than a closed clique. You might find someone actually directly offering a job which would suit you – result! But take a breath before you start commenting, and think about the best way to respond. If there is a phone number or other contact info, use that. Take it off Facebook and into the real world immediately, if it’s nearby you could even plan to drop round if that would be appropriate to the role – but better if you can make contact by phone first and make this a scheduled meeting/interview you can prepare for. If you have to leave a message on a voicemail or cannot otherwise make contact immediately, then a polite comment on the post would also be fine just to say something like ‘I am very interested and have just left you a voicemail’. I would heartily advise against doing anything further on Facebook itself. Do not send a private message, odds are if you are unconnected they will never see it. Don’t ask more about the role in a comment – they have provided the information they wished to provide, and implying more should have been made available could create a negative feeling, also remember you are effectively in a competition with any other applicants for the same role viewing the post. Anything they add which will help you align your application to the position also helps the other candidates, so keep your questions other than the most general ones for when you are speaking privately. Never make a negative comment in response to an advertised job. Even if your immediate reaction is ‘HOW much per hour? For that? You have to be kidding!’ to say so publicly where it can be seen by any potential employer is unwise, and I cannot believe how often I see this online. Also, any comment you make, ensure it is 100% grammatically correct and complete. Should you post in a group that you are looking for work? Yes, if this is in line with the group’s stated rules and unstated culture, you can certainly do so. Again, pay attention to spelling, grammar and positivity. What can you offer employers? Don’t post your entire CV, stress your transferrable skills and attributes. Don’t post too often about job hunting, and don’t post identical solicitations in multiple groups simultaneously. Remember that just like you, many people join lots of different groups, and you do not want a slew of similar posts flooding their newsfeeds – this looks desperate and spammy.